Bend Electric Bikes doesn’t just sell ebikes, they ride them. Owner Sterling McCord has been riding an electric bike since 2001 and considers it his daily driver. He drops his two children at school, runs business errands, gets supplies at the store, and takes the wife on an occasional date. The wife loves it. 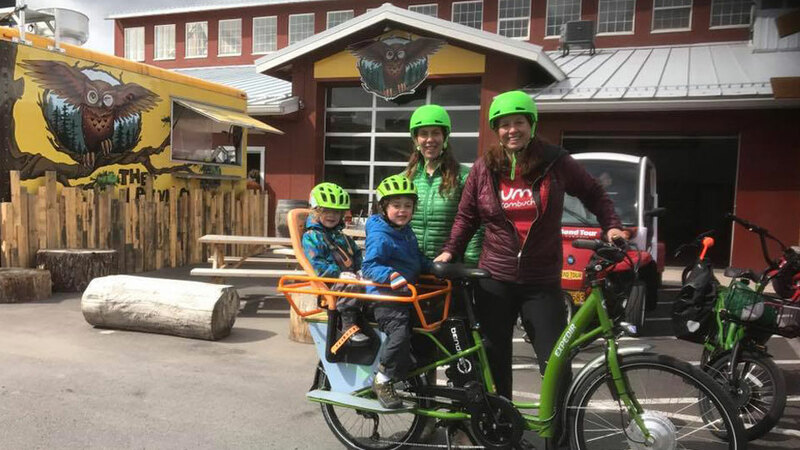 They offer the whole gamut of ebike experiences, from sales to maintenance to rental and bike tours, because they want everyone to enjoy Bend by bike – whether you’re young or old, fit or not so fit. Whether your knees and hips are strong or feeling the effects of a lifetime of adventures, there is no better feeling than the warm sunshine on your skin and gentle wind on your face as you travel around freely and confidently, stopping anywhere, anytime, to take it all in. Their user-friendly biker rentals begin at $25, while their bike tours, which offer site-seeing and beer tasting for starters, begin at $50 for two hours.